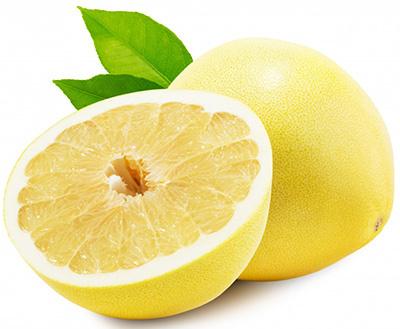 The Marsh Grapefruit has a high flavour and high juice content. The fruit is round and slightly oblong. It is likely to have a slightly coarse or rough skin texture especially late in the season and when excessive amounts of fertiliser have been applied, or when crops are very light or when fruit size is very large. Trees are likely to produce heavy crops and to come into bearing when only a few years old. They are often hedged to control the size and to reduce harvest costs. Regular internal pruning of trees will enhance fruit quality without packout.